We depart London St Pancras by Eurostar, speeding across Kent and towards France. Our Eurostar terminates at Brussels, where we change onto the German rail system, reaching our hotel in Wuppertal, the InterCity Hotel, for one night. Our excursion by regional railway takes us to the historic and charming town of Goslar. 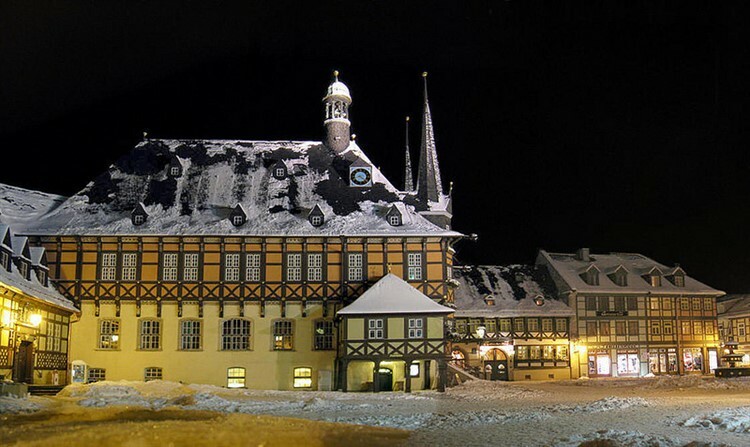 At any time of year Goslar, with its imperial heritage and gorgeous Old Town, is worth a visit. 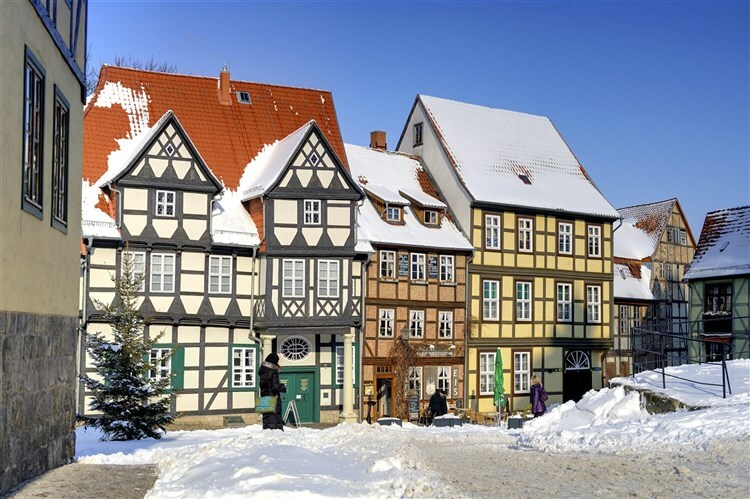 Boasting more than 1,500 half-timbered buildings, Goslar has UNESCO World Heritage status. 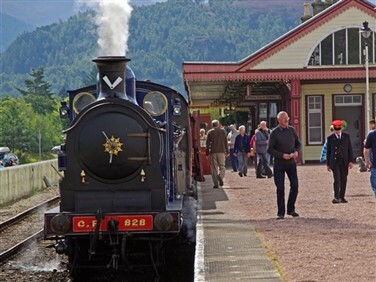 We learn about the proud history of this thriving town on a guided walking tour. 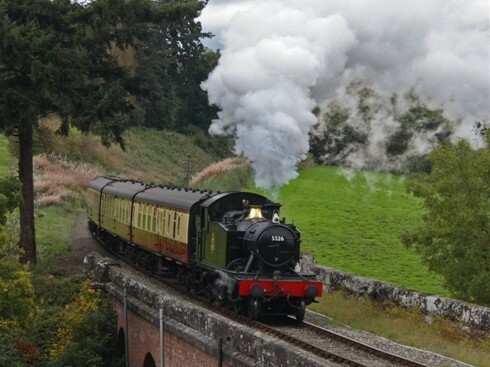 The regional rail network takes us to a UNESCO World Heritage site today, Quedlinburg. 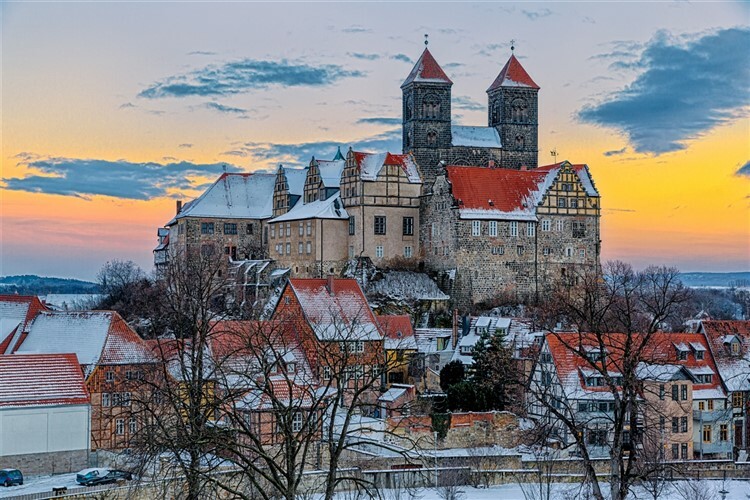 Quedlinburg's patchwork of half-timbered houses has led UNESCO to consider it one of the best examples of a medieval town and the Collegiate Church overlooking the town from its hill a masterpiece of Romanesque architecture. 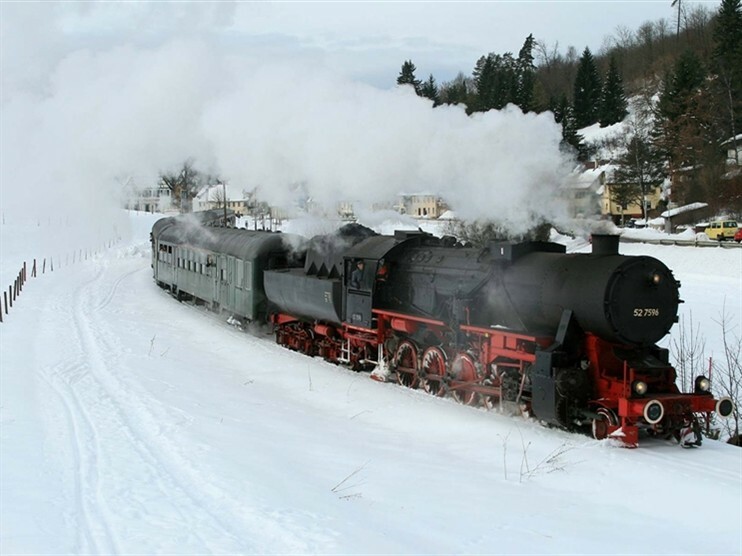 From Quedlinburg we take the narrow gauge Selketalbahn through the wintry forests to Alexisbad. 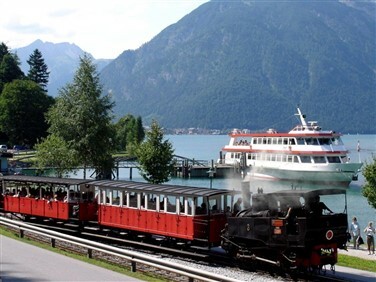 Here we settle into the cosy atmosphere of a local gasthaus to enjoy light lunch before making the return journey. 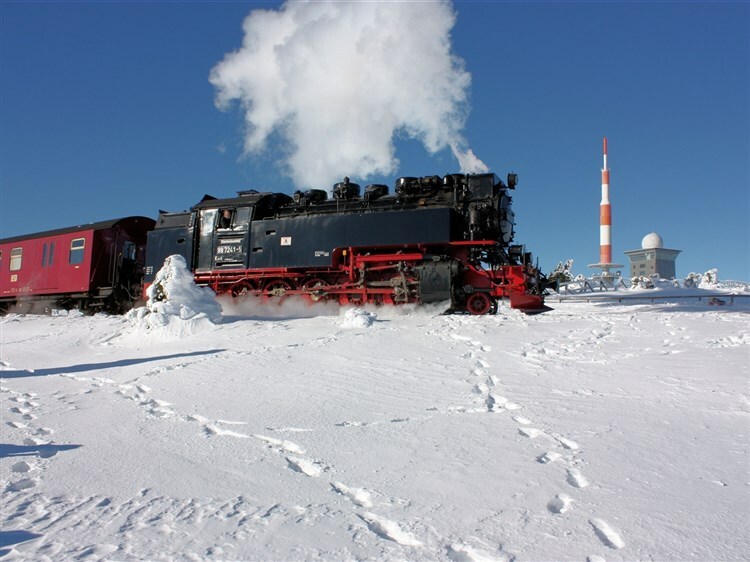 This morning we enjoy an exhilarating ride aboard the Brockenbahn, a steam-hauled journey from Wernigerode through wintry landscapes up to the summit of the Brocken mountain to Germany's highest narrow-gauge station and the Harz region's highest peak. At the summit we take in the views from the warmth of the restaurant, enjoying 'Kaffee und Kuchen'. 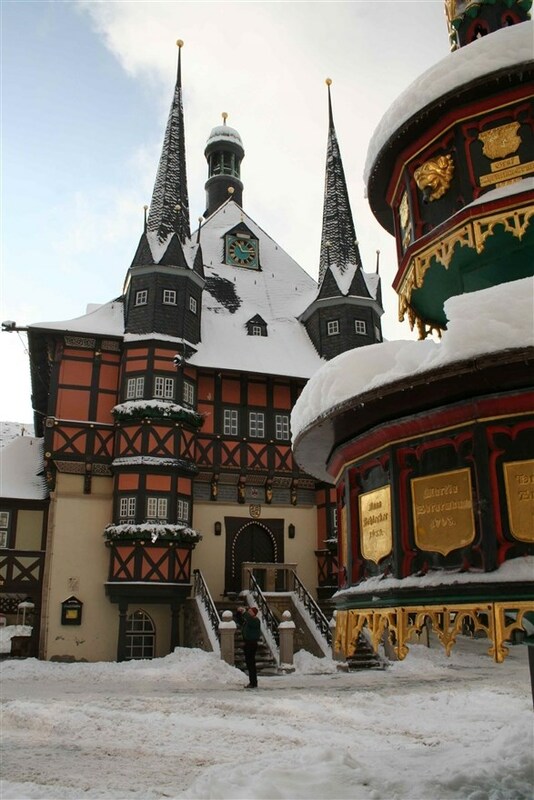 Today we enjoy a day relaxing in Wernigerode and have the chance to explore this pleasant Harz town, with its attractive market square and picturesque town hall. We can take stroll around this pretty town with its half-timbered houses or take a trip up the hill to Wernigerode's stunning Castle. 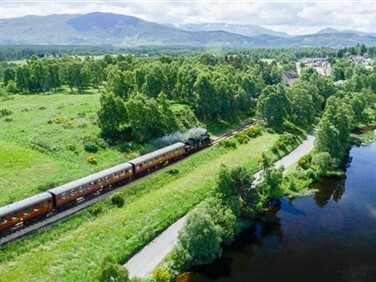 A fond favourite of the Railtrail Tour Managers is Bar Altora located near to the railway station, it has a miniature railway that delivers your drink to your table…a perfect way to spend a relaxing afternoon! 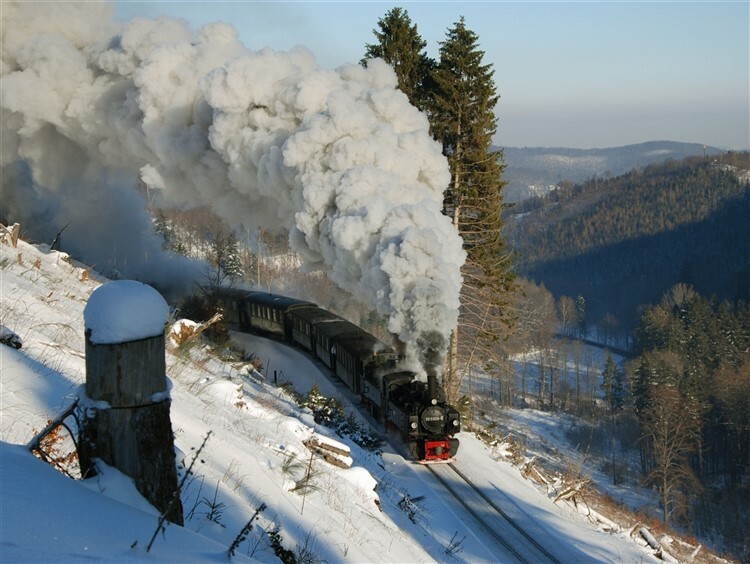 Leaving Wernigerode, we change trains in Hannover and Cologne. In Brussels we join the Eurostar service to London St Pancras. 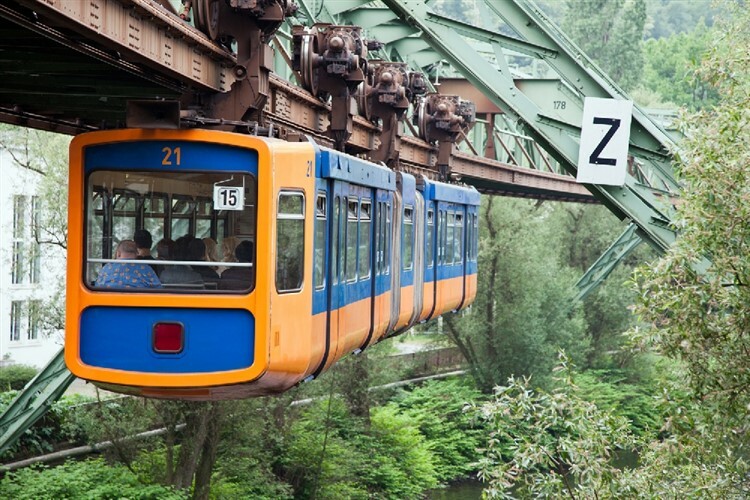 The modern 4-star InterCity Hotel puts you right in the centre of Wuppertal, close to the main station and just a short walk from the Schwebebahn dingle-dangle railway. The hotel has a bar, restaurant and fitness centre. 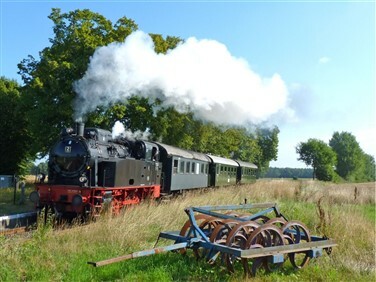 This stylish 4-star hotel is ideally positioned close to the historic old town centre and the Wernigerode narrow gauge railway station. 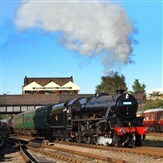 The hotel offers well equipped comfortable bedrooms with TV and hairdryer. Enjoy local culinary delights in the buffet restaurant and relax in the Berliner Ziller bar. Leisure facilities at the hotel include a sauna, gym and jacuzzi.